You are driving down the road, on your way to or from home, work, or school, and you are involved in a car accident. 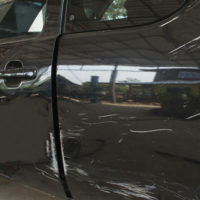 Someone hits you from behind or side swipes you in your lane, and you get out of your vehicle to inspect the damage. Your car’s damage is minimal, so you skip the doctor and accept an immediate settlement on your claim. Months later you are still experiencing pain, and you discover it is due to injuries you suffered as the result of your accident. Unfortunately, this type of scenario is all too common. Failing to get the medical care you need after a seemingly minor crash or collision and rushing into an auto accident claim could end up costing you in the long run. In addition to the need for ongoing medical care, you could end up suffering permanent disabilities. Soft tissue injuries, including muscle and tendon strains, sprains, and tears: These injuries may appear minor at first, but the American Academy of Orthopedic Surgeons states that improper healing and re-injury could result in the need for ongoing care and physical rehabilitation. Back and neck injuries, including damage to nerves or herniated disks: Doctors at Johns Hopkins Medicine report that injuries to the back and neck can permanently impair movement and result in chronic pain issues, eventually requiring surgery. Head injuries, including concussion and traumatic brain injury: Among the most serious types of injuries, head injuries can result in chronic headaches, dizziness, and changes in personality and intellectual abilities. The Mayo Clinic advises that impacts may not be felt until months later and may leave the victim vulnerable to subsequent blows, which could be life threatening. Contact an experienced car accident attorney right away. When dealing with insurance companies, it is important to realize they have a financial motive in undervaluing or denying your claim. To ensure you get the total amount you need for any future or ongoing medical issues you suffer, contact the Law Office of Steven G. Lavely before accepting a settlement. Even minor crashes can have a major impact on your health and financial security, so schedule a free consultation with our Florida car accident attorney in our Bradenton or St. Petersburg office today.